Makeup with glasses. Makeup without glasses. 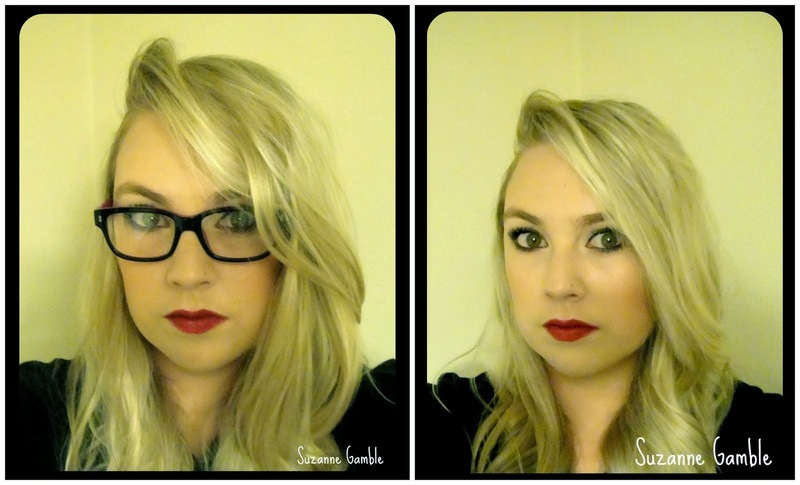 This post is about the makeup I decided to wear on Saturday night. I wanted to try this look out as it isn't too subtle for night time makeup but it isn't too heavy either. 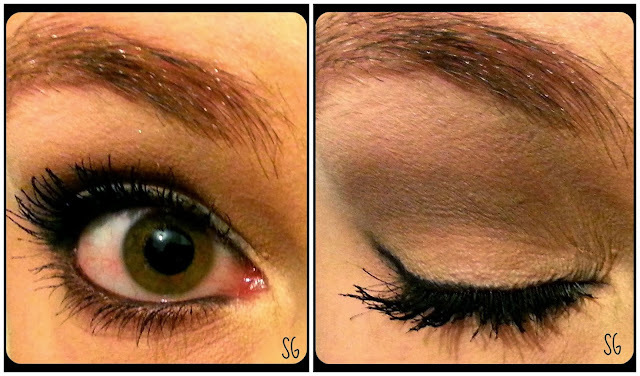 Tanya Burr recently created a similar look, which was great as I had already thought of doing this look before. I was already wearing Origins drink up intensive overnight mask so I decided to leave this on and use it as my moisturiser as I had only applied a little amount anyway. I knew that the venue that I was going to would be warm so I opted for MUA undress you skin flawless skin primer to make sure that my foundation and concealer would stay on all night. 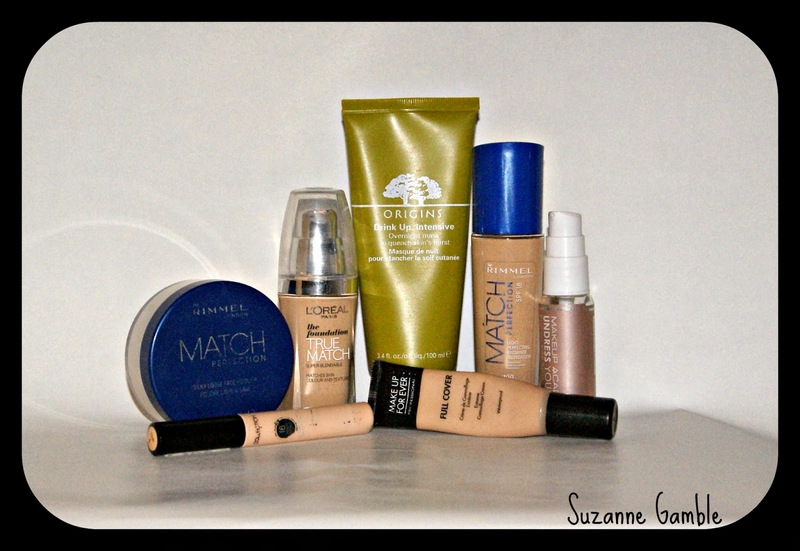 This primer helps smooth the skin so my foundation applies better. 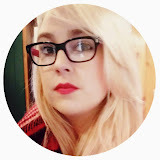 I used my usual mixture of L’Oreal true match foundation in Ivory and Rimmel match perfection foundation in Ivory too (even though these foundations have the same name they aren't similar in colour!) I stippled this on with my Beautyblender, I prefer this finish to any face brush. I then blended down my neck and around the edges of my face with my buffing brush. For concealer I used my deluxe crease brush to add my Collection perfection in fair on my chin, around my nose, under my eyes and on any other blemishes I had. Annoyingly, the blemishes on my chin were extra red and could still be seen, so I decided to go over them with my Make up forever full cover waterproof concealer in number 4. This is a thicker formulation so a little goes a very long way but it does cover pretty much everything! I set it all into place with my Rimmel match perfection loose powder in transparent, I also used my Beautyblender for this too as the point is perfect for applying powder the precise points on my face. I decided to contour my cheeks, so I used my Mac powder blush in harmony which when blended isn't too dark or orange for my fair skin. I applied and blended this with my contour brush which does a great job. I then used my Sigma large powder brush to lightly dust my cheeks with VIVO baked bronzer in sun kiss just to add a little more dimension to my face. I then moved on to my eyes, to make the eyeshadow last longer I used MUA professional eye primer which seems to work rather well considering how cheap it is. 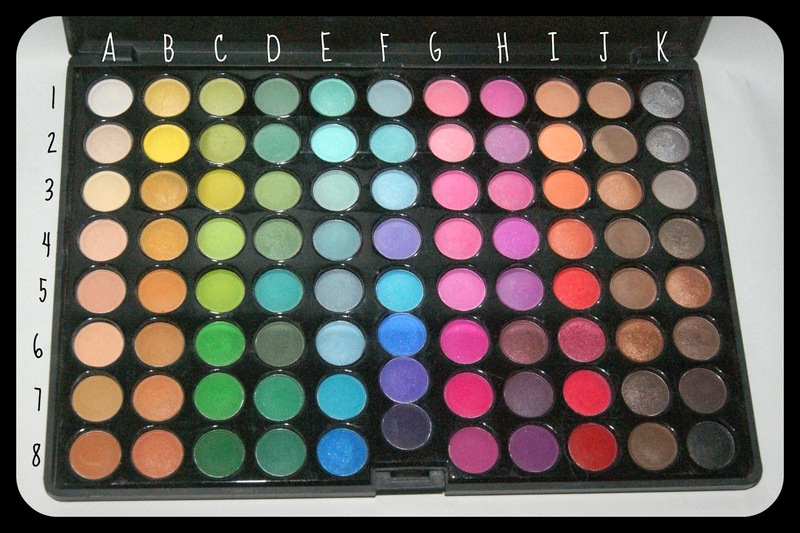 I've had the Coastal scents original 88 palette for a while now but because it’s so big I rarely ever use so I thought I might as well use it tonight as it has all the colours you could want. 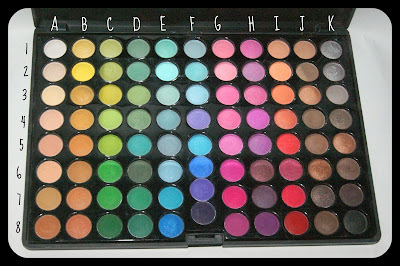 If you refer to the picture below I have labelled the palette show you will be able to see the colours I used. 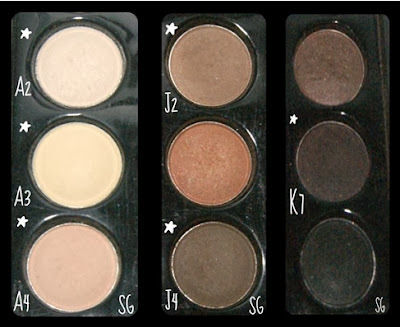 A2, A3 & A4 were blended all over my eyelid as a base using the Sigma blending brush (e25) I then added a mixture of two brown’s, J2 & J4, to the crease of my eyelid to add shadow. I then blended the edges using my Sigma tapered blending brush (e35) so it was a softer look. I used the colour A2 again to highlight my brow bone and the inner corner of my eye with the Sigma blending brush. Finally I used the brow brush and ran the dark brown, K7, along my lower lash line and blended it slightly with my fingertip. I then used Maybelline gel eyeliner in black to line my top lash line, using my Mac angled brow brush (208). I made it thicker at the outer edge and thinner as I made my way across to the inner corner. Next I added Collection’s kohl eyeliner in black to my upper and lower waterline, curled my eyelashes and applied several coats of my L'Oreal false lash telescopic mascara in magnetic black. To tame my brows I use a tiny amount of Elizabeth Arden’s 8 hour cream which helps keep any stray hairs in place. Finally to finish off the look I used one of my favourite lipsticks, Rimmel’s Kate Moss lasting finish lipstick in 107. (Top 5 lipsticks coming soon). What are your go to products for a night out? I really like your red lipstick, really nice shade!